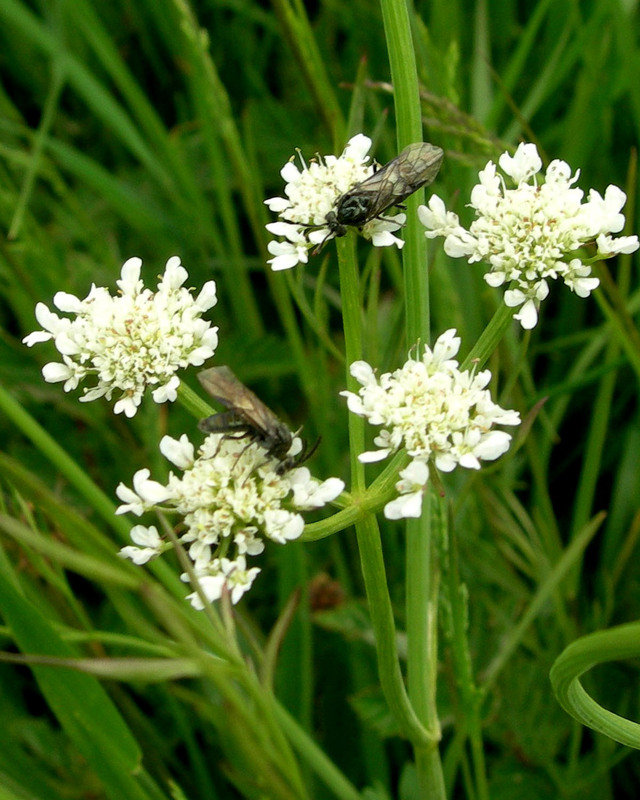 Narrow-leaved Water-dropwort (Oenanthe silaifolia) is a perennial umbellifer of floodplain hay meadows. 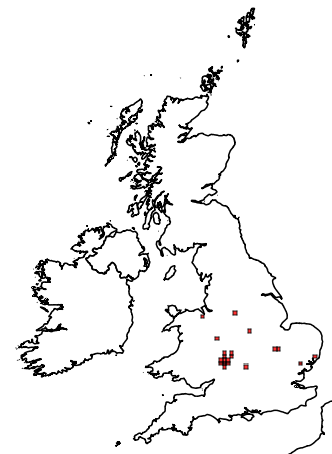 It is Nationally Scarce and Near Threatened in Britain, being found in 49 hectads (10×10 km squares) since 1970. It is distributed mostly in central and southern England with a stronghold on the River Severn. In Oxfordshire it was first recorded in c. 1730 and it seems to have declined from eight sites reported by Druce (1927). It is difficult to spot except when in flower, so perhaps needs to be searched for at its former localities at Iffley, Wolvercote, Eynsham, Christ Church Meadows, Sandford and Kennington, as well as in the Ray catchment where it is now mostly known. It grows in thousands at Bestmoor SSSI near Somerton on the Cherwell River in a meadow where much of the other floral diversity has been lost. Some 500 plants were recorded in 2011 on Yarnton West Mead (Part SSSI and SAC) by the Thames along with Meadow Rue (Thalictrum flavum) in the palaeo-channels. At Arncott Bridge Meadows SSSI some 700 plants were counted by its Flora Guardian Judy Webb in 2012, but she says this was probably an under estimate as some of the plants were inaccessible under flood-water from the River Ray. It has also recently been found in other places in the Ray catchment notably at Meadow Farm BBOWT Nature Reserve and Local Wildlife Site. Narrow-leaved Water-dropwort has a southern and eastern distribution in Europe and is also found in the near east and northern Africa. It is IUCN listed as Least Concern in Europe and England. 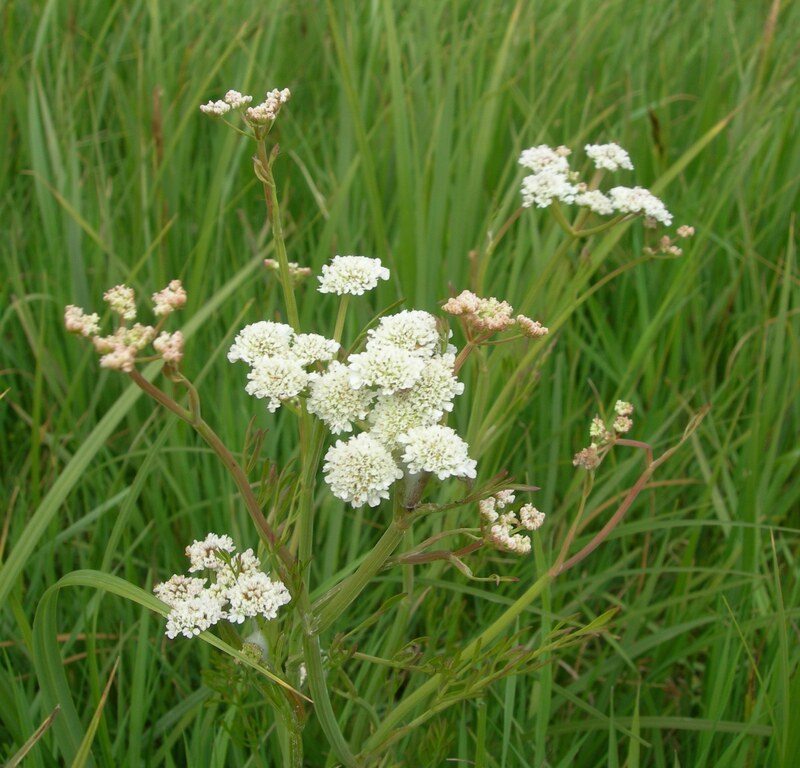 Narrow-leaved Water-dropwort is a long-lived perennial with several tubers at the base of each stem. 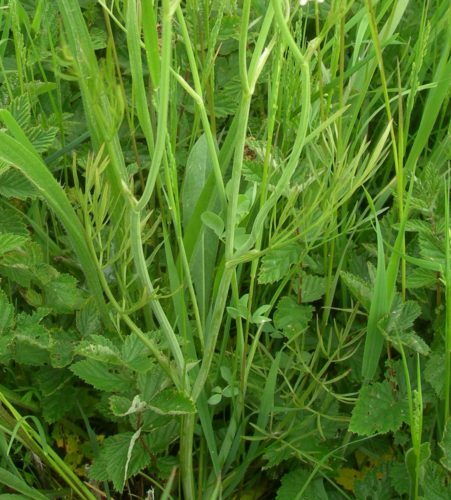 It flowers earlier than most hay-meadow plants – in May to early June. It sets viable seeds that are usually mown off before they ripen; and it does not regrow until the following year. It is abundant at its three main Oxfordshire sites, as it is at some other UK sites, perhaps helped by its preference for soils with quite high nitrate levels. It would be a good plan not to mow all the flower heads each year, but occasional wet summers have necessarily meant late hay cuts, ensuring that some seed is matured in such years, even if not regularly. This work has been supported by Natural England and BBOWT.